When dealing with heavy equipment, it is vital to protect the ground that vehicles are passing over. By neglecting to use any form of access mats or construction mats you may find that your work site becomes a boggy mess. 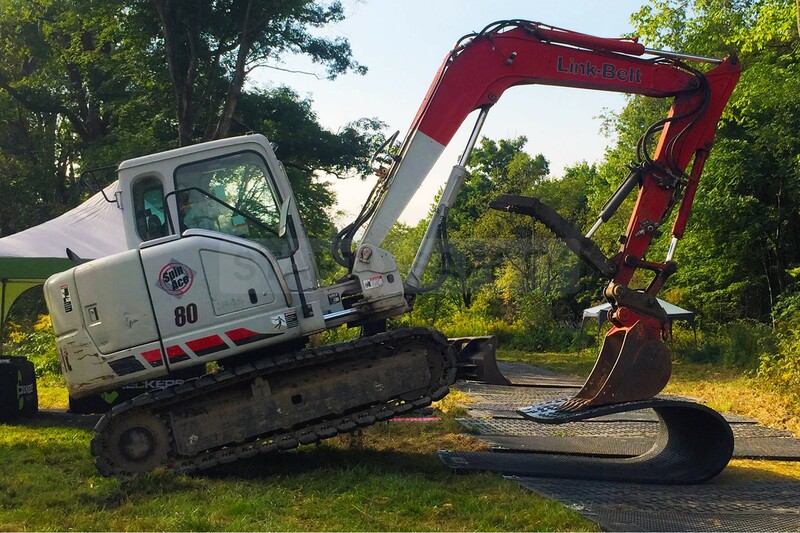 In the best case scenario, the issue can be resolved with costly landscaping; the worst case scenario is having an expensive piece of equipment become stuck and damaged costing more time and money trying to free it. 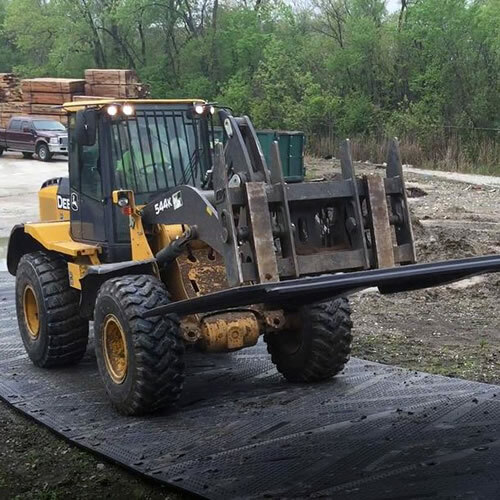 Many heavy equipment drivers will be very familiar with traditional wooden heavy duty matting, made from either solid hardwood or chipboard for lighter vehicles. These have some pretty serious downsides that can be costly in the long term. We go into more detail on the downsides to timber construction pads and roadways here: Click Here. Up to 50 mats per semi-truck! A Superior more robust composite mat system. Now is the time to BUY rather than rent, no more paying for “damaged” or “stuck” mats that you have had to leave on site. 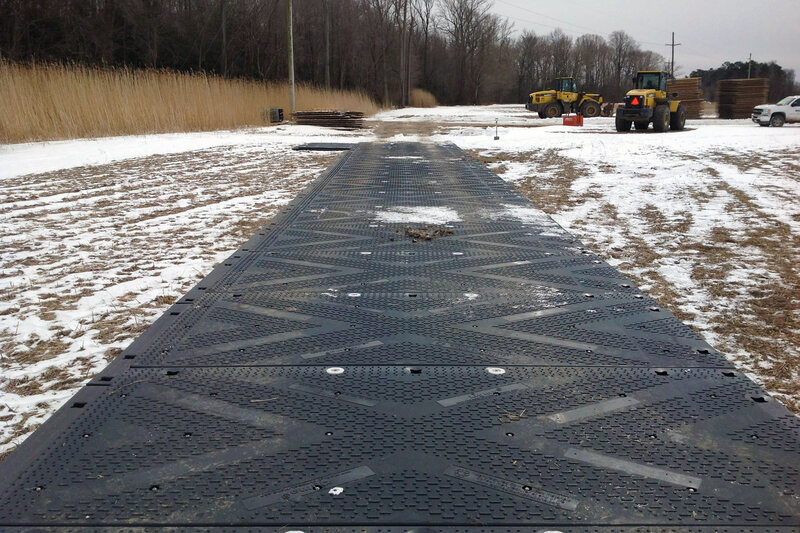 These access mats will last and can be easily transported from one construction site to the next. We are even able to offer demonstrations and site visits to show you just how good our product is. Inert Material – Will not leach any chemicals from or into the surrounding ground. Even if fuel or other contaminants get spilled onto the mats, they can be cleaned ready to go to another site. Strong – Our systems are capable of taking traffic from everything from a wheelbarrow to a large tracked vehicle. Improved traction – The surface of the mat is covered in a friction enhancing pattern to give vehicles small and large the traction they need even on inclines. 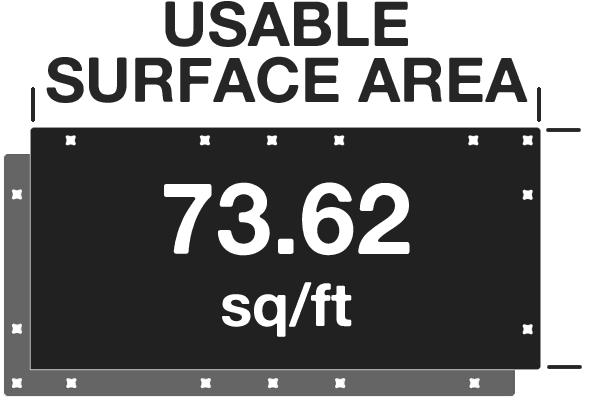 Non-conductive – These access mats do not conduct electricity, which is ideal for working on electrical utilities. Quickly lock together – With various locking types and overlaps your mats will stay in place and will not separate. Keeping mud underneath and the topside clean. Suitable for all elements – We have tested our mats thoroughly in all climates, you can be sure that they will not crack in the cold, or deteriorate in the heat. Recyclable – The durable material that these mats are made from is not only exceptionally hard wearing it is also easily and readily recycled. Water absorbent – Wooden mats can absorb water to the point that their weight can double, making them more dangerous to install and remove and even harder to transport. It is not uncommon for them to stick in mud so bad that they have to remain on site permanently. Expensive – Whether renting or buying you will find that wooden mats have many hidden costs. Be it excessive transportation costs or getting charged for stuck or damaged units. Heavy – Wooden mats are so weighty that only a small number can be transported on one semi-truck, and they only get heavier once on site and exposed to the elements. 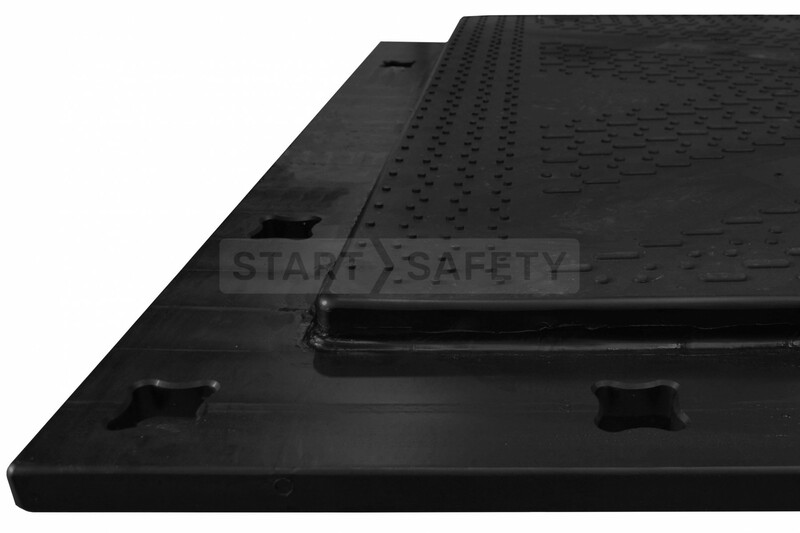 Cross contamination – As these mats are not inert they can absorb oils, fungus, seeds, bacteria or any number of other contaminants from a work site. These contaminants can then contaminate the next site at which they are installed. What was the last person who used the wooden mats doing with them? Will it damage your sites ecosystem? Extreme Transport Costs – With only a small number on a vehicle it is not uncommon for solid wood mats to have so many delivery vehicles required during their installation that the vehicles themselves damage the temporary roadway and surroundings. Snap off corners – Many of our competitors’ temporary access products have weak corners that snap off. This breakage compromises the entire mat. We have bent under testing our XT mat to a 90 Degree angle without failure. You can also see this Caterpillar Dozer intentionally trying to damage the mat without success in our video. Become Flooded if punctured - Some “buoyant” mats on the market can become flooded if punctured, this not only makes them heavier, it also makes them susceptible to causing cross contamination. We have seen competitors products with grass, small trees, and shrubs growing from splits! Our mats are filled with closed-cell foam; they will not flood if punctured and prevent any contaminants from spreading within the mat. Don’t just take our word for it; you can see for yourself how robust our mats are in the video attached. Alternatively, you can speak to one of our advisors about a site visit and demonstration of just how good our mats are by calling (800) 671-9662. Our mats are developed to be lightweight; they offer a tremendous 30% weight saving when compared to the nearest competing composite mat. When compared to wooden mats the composite mats provide a weight saving of more than 400%. All this means that you can get more mats on a truck, less trucks to transport the mats you need and most importantly reduced delivery cost. 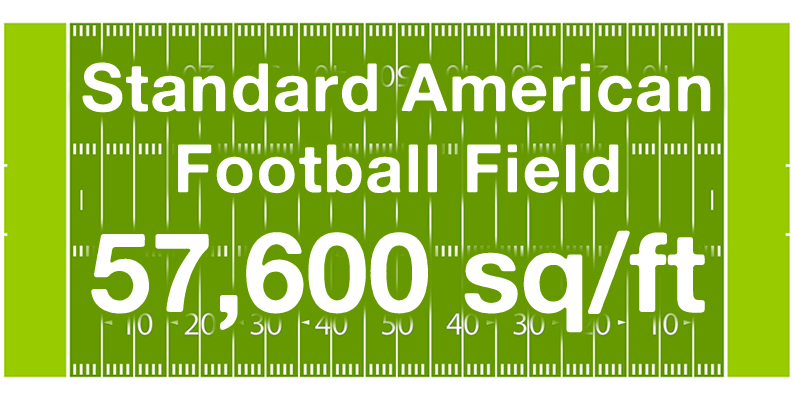 How Much Does It Cost To Ship A Football Field Worth Of Mats 800 Miles? 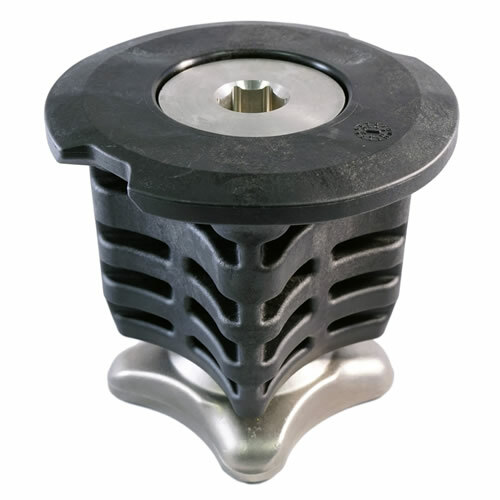 Produce a firm, solid interlocking platform suitable for drills and lifting equipment. Ensure that temporary access routes from rural areas are not churned up by trucks in harsher weather. 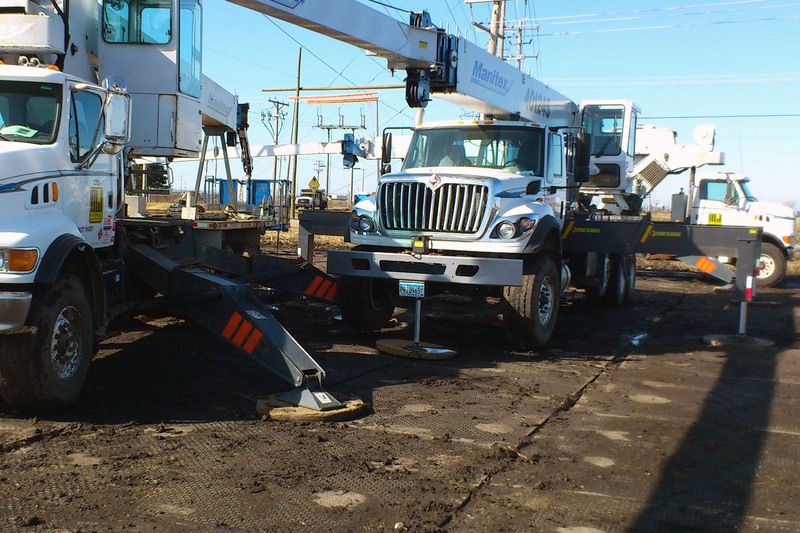 Produce a stable portable roadway to your remote project. Use our mats to access remote electrical pylons and carry out maintenance or installation with ease. 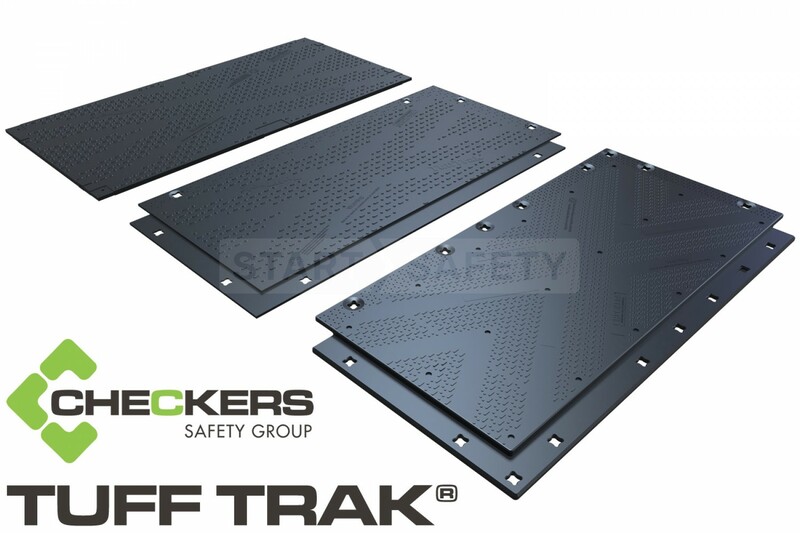 Any of the TuffTrak Series of mats are ideal for use in military applications. They can be quickly set up to establish a base of operations on almost any surface. 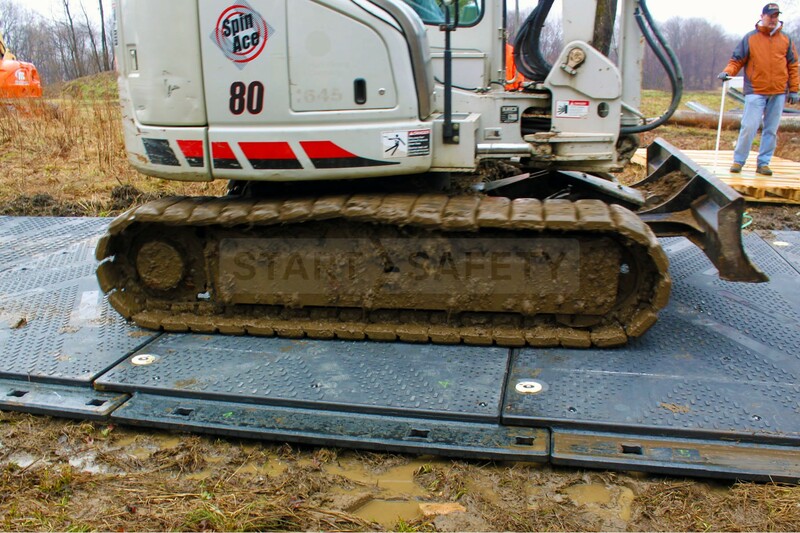 The access mats prevent vehicles (even those with tracks) from sinking into soft ground or causing a mud bath. By using TuffTrak, a base of camp can be established quickly even on a beach or wet area without equipment getting stuck. 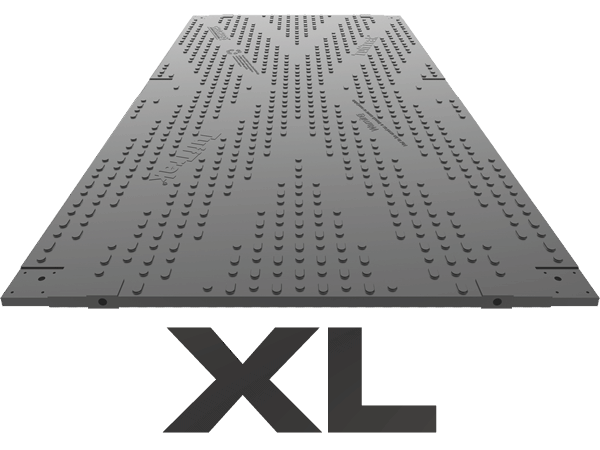 The TuffTrak XL is the lightest of all our heavy duty access mats. It is a simple single piece construction. 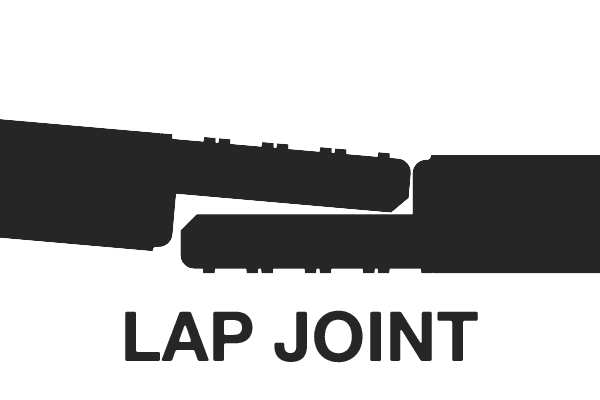 It can be linked if required using rigid steel connectors or flexible strap connectors. The TuffTrak XL is ideal for use on ground which is not smooth and has many undulations. It is highly flexible and can be folded completely back on itself without failure. Great value – The Simple Design makes this mat highly competitive, offering great ‘Bang for Buck’. Lightweight - at only 794 lbs. See how the TuffTrak XL compares against our other mats further down the page or phone our sales team at (800) 671-9662 to discuss your needs. We will ensure that you get the right mat, at the right price. 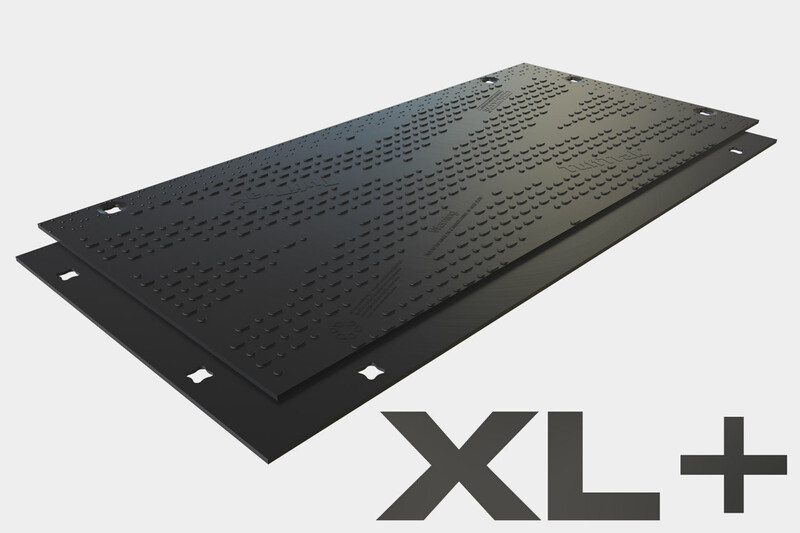 13.5' x 6'8" x 1.85"
The TuffTrak XL+ is the first mat in our range that has an overlap where it connects. This overlap has the benefit of helping prevent mud pass through between mats. It also distributes the load between joining mats making them very stable. The TuffTrak XL+ can be locked together by using our 4-3 ‘Twist-Lock’ cam connector. 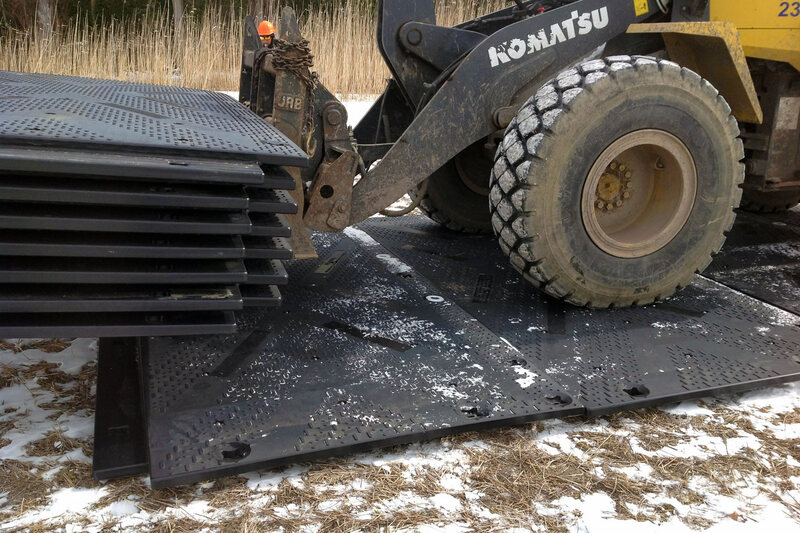 Ideal for high traffic areas – Overlaps keep the mud down and improve the stability of the mats. Stable – Ideal for drilling pads and lifting sites. You can see how the TuffTrak XL+ Compares to the rest of the range below, both in its size, weight, and dimensions. If you have any other questions or would like a quote, please call our sales team at (800) 671-9662. 13.5' x 6'8.5" x 1.8"
The Tufftrak XT is an exceptionally strong, foam filled mat that is so buoyant it floats. This mat is ideal for use on boggy, marshy and wet ground. 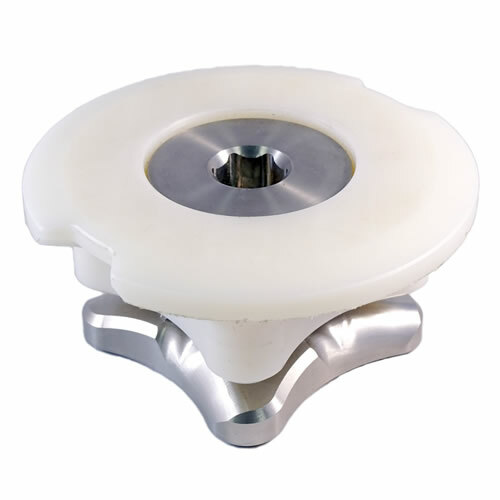 It is unyielding and can be easily connected if needed through any of its 16 fixing points to create large platforms. The Chevron traction surface offers exceptional grip for both vehicles and pedestrians. See the Tufftrack XT getting a thorough testing by a tracked vehicle on our youtube video featured on this page. This product is foam filled to prevent water ingress even if it gets punctured by forks or other equipment. Lighter than alternatives – offers a 30% weight saving against the nearest competing product. Cost Effective – Take it to many sites and use it over and over again. 50 Mats per 40’ Container! – Fewer vehicles on site, lower transport costs. You can see how the TuffTrak Xt compares with our other heavy duty access mats further down the page in our comparison chart. If you would like to organize a free quote, site visit or just speak to someone about this product, then please call our sales line on (800) 671-9662. 13.5' x 6'8" x 3.54"
It is not always necessary to connect mats together, but for many installations, it can have benefits such as distributing weight between mats and keeping mats in position. We offer different connector types depending on which mat system you are using. A Simple construction, ideal for flat temporary roads and pads. 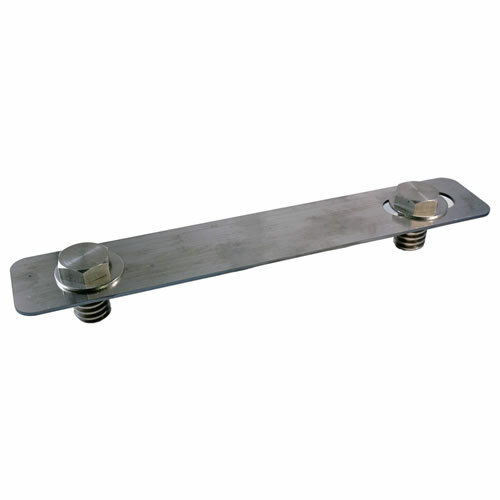 A Simple metal sprung steel connector, easy to install and good on slightly undulating surfaces. Great for use on surfaces that are not flat and have lots of changes in gradient. These connectors are great as they can be “kicked” into place and then locked by turning 1/8 of a turn with an easy to use hand tool. They are large and can be easily worked with even with gloves on. 794 lbs. 655 lbs. 794 lbs. 440,925 lbs. 440,925 lbs. 440,925 lbs. Great, we've got your message!